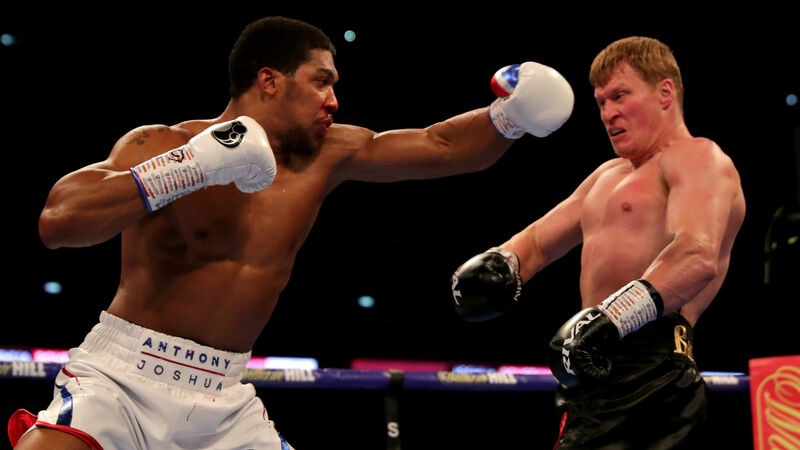 The 29-year-old was due to fight at Wembley on April 13 after stopping Alexander Povetkin at the London venue last September, but a potential all-British rematch with Dillian Whyte failed to materialize. "Wembley is close to my heart, great place, great location. But now it's time for a change," Joshua said in a video posted on YouTube. "Myself and Deontay Wilder are the current active champions. We were looking to get that fight on April 13 but things happen, boxing politics. We had to branch out and look for other options. Jarrell Miller came up. "It's an exciting fight, he's an undefeated heavyweight. I know I'm always focused and disciplined and always looking forward, but right now I have to keep my attention and focus on Jarrell Miller. I can't afford to slip up, there are no banana skins in this road, this road towards undisputed." "AJ is making a huge mistake coming over here to fight me in my own backyard," said the 30-year-old. "He wants to announce himself on the American stage but all he's doing is delivering me those belts by hand. It's dog eat dog in the ring and this dog has got a bigger bite, he'll be leaving New York empty-handed.